Now, take a few minutes to compose yourself after the fits of laughter of what I have done...would any of you gurus be able to point me in the error of my ways, or even give me a little to go on? I have written a trigger to standardize Campaign Member Status options. It works great with one exception: it throws a Dupliacte_Value error when I try to Clone a campaign...not sure where to start with debugging. How do I set StandardSetController in a test? There seems to be nothing in the Apex guides on how to test a set controller. This method runs when a button is clicked on a custom object list view and processes the records selected from the list view. How do I test it? I can't figure out how to get any records "selected" in the StandardSetController. //How do I select both "rules"? DocuSign For Salesforce Help.. Urgent! 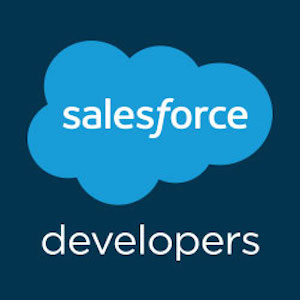 Our team is currently working on docuSign for Salesforce integration. Does anyone know if bulk voiding of envelopes are possible? Right now we are limiting voiding of envelopes to 9 due to some limits in docuSign. Is there a way where we can void multiple envelopes all at once? Please help because this is an urgent matter. Thanks in advance. During a batch apex job I have noticed the number of Total Batches is changing, lowering. It starts high and then as the job progresses the number starts to lower. It would also appear that the batch apex job is missing some of the records that should have been originally queried and are never being processed by the batch apex class. The difference is 143 batches or 29,000 records which is exactly how many records are not being processed. This is bizarre. Any ideas? A trigger to set PricebookEntryId, how to query efficiently? Upon the insert of an OpportunityLineItem the PricebookEntry field will not be defined. A before insert trigger will need to populate this value. On the insert there is a custom field that lists the product name, product names are unique. Sounds simple right? but I can't find an efficient way to query the pricebook entries without returning more records than are required. There is a problem with this trigger and it is the query on the pricebook entries table. We are only inserting two line items so ideally we when querying the pricebook entries we should only get two results. But this query with the two IN filters will actually return all four pricebook entries even though we only need two. This trigger works but it could be better and I am obsessed with my code being efficient. If you know of a way to make this trigger better and only query the actual number of PricebookEntry records needed I will buy you a bear at Dreamforce. What is the definitive answer on non-selective query? System.QueryException: Non-selective query against large object type (more than 100000 rows). Consider an indexed filter or contact salesforce.com about custom indexing. 2) The number of match rows returned would be very minimal. The only thing that even starts to make sense is the Opportunity table has 250,000 rows. So really, is there simply a limitation that triggers cannot query tables with more than 100K rows? If so, this should be documented somewhere. I have written a test that runs 100% successfully on the full development environment. When I attempt to validate deployment to the production server, it fails with the 'External Entry Point' Error on the last assert in my leadTransferTest() method. I have compared the objects on both the production and dev environments and cannot find any difference. Any help/suggestions would be greatly appreciated!! With some help, I've developed the trigger below that is fully funtional and operates as designed. In a nut shell, it performs two primary functions. With the update of epc_invite_sent__c at the end of the statement, this trigger fires twice (assuming the criteria is met initially) once to send the email and again to make the update to epc_invite_sent__c. The trigger then exits if the IF statement is not satisfied. Being a neophyte developer, I am wondering if this is the best approach for the trigger to fire twice. Though it works, I am thinking that there might be a better approach that I am not aware of that might be more efficient and or less "expensive" from a query stand point. Welcome the thoughts and best practice pointers. Thanks. // String to hold the email addresses to which the email is being sent. // Send the email that has been created. save button for a new record ignores retURL parameter? I'm sure that the retURL is correct, because the cancel button does take me back to the purchase order. I have a data table that returns a double in one of the columns that represents currency but I am having a difficult time getting this to display correclty in a dataTable.